A few weeks ago I tried out new watercolors -those that come in tubes-. I was surprised to learn how pigmented they are and how much they allowed me to play with the colors, blending them to create beautiful washes. Well, that is exactly how today’s cards started off! 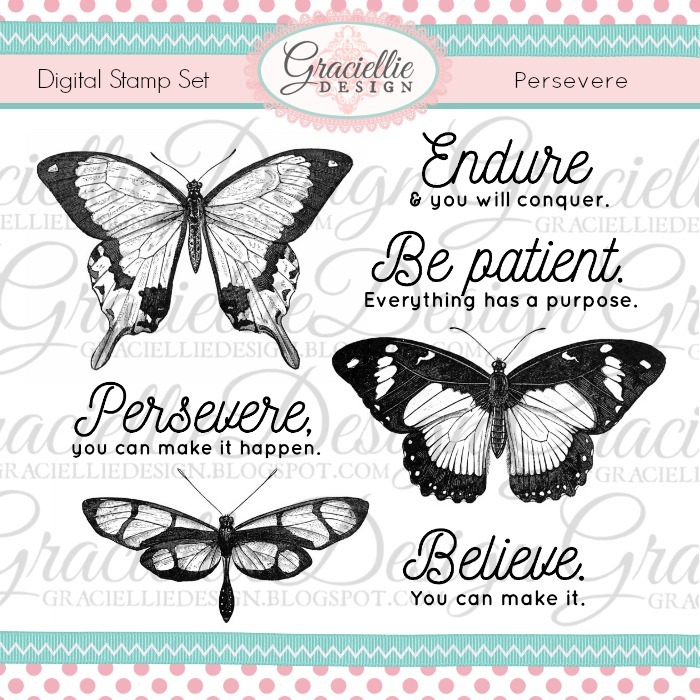 This month’s release at the shop was very special to me, because it is my birthday month and we had a special bonus stamp release (Pray Digital Stamp Set). I have been so technique driven this month that I based my stamp choice for today purely on how I wanted to finish off these backgrounds. I used 3 colors for this watercolored wash: Ultramarine, Rose and Purple Pale. 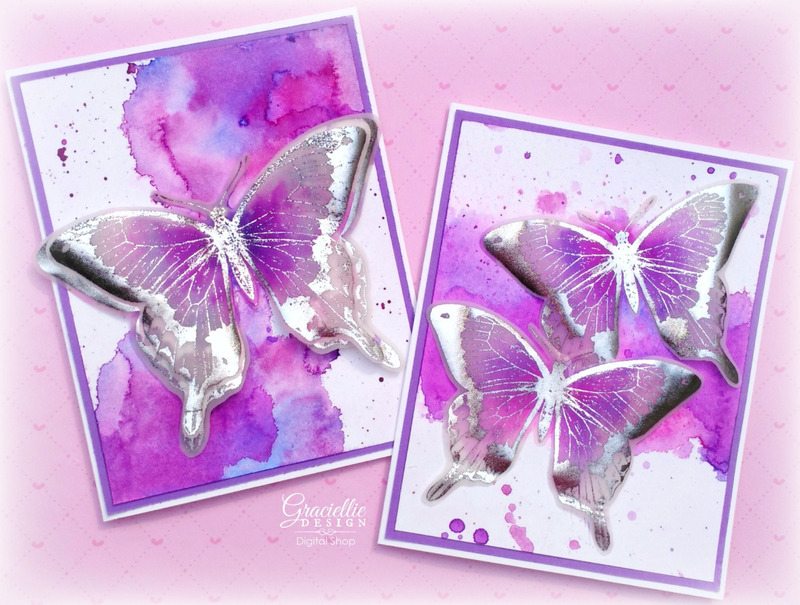 These stunning butterflies are from a set called Persevere -available now on Etsy-. I printed the butterflies on vellum at around 3.5 and 2.5 inches (using Microsoft Word to resize and arrange my print), using a laser printer. 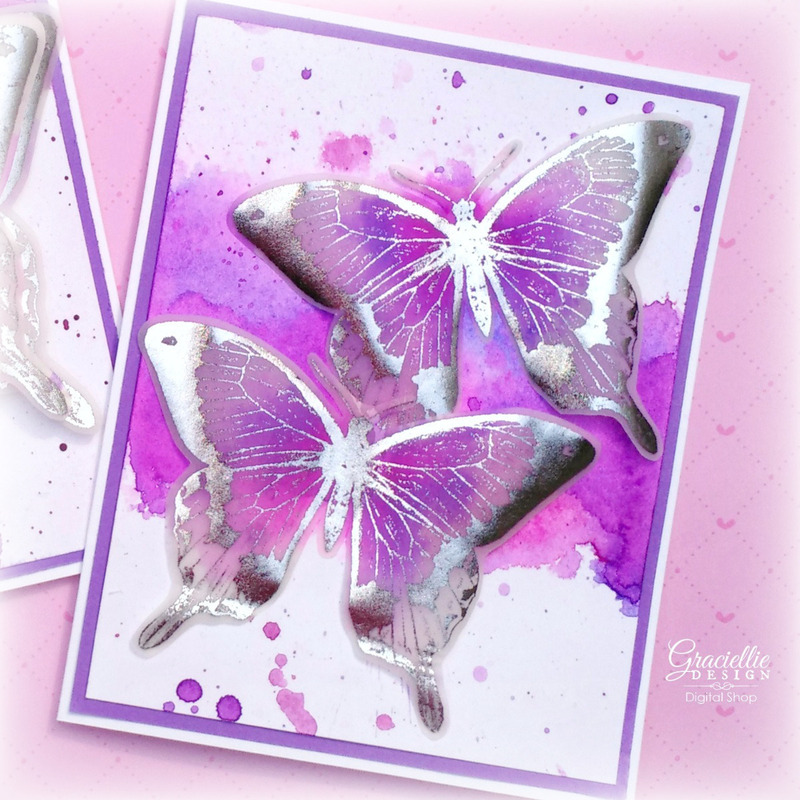 I then foiled them at low temperature with a Silver Deco Foil Transfer Sheet. I fussy cut each butterfly and attached them to the background. We have lots of inspiration for you today -as always-, so make sure you leave each of these talented ladies some love! This month’s winner of a $10 Gift Card + Our Special Release Set Pray is: Kathy the Teawife Congratulations! Please send me an email through the contact form so I can send you your prize! Once you finish the blog hop I hope you do come visit us at our Etsy shop! There are so many sets for your crafty projects there! 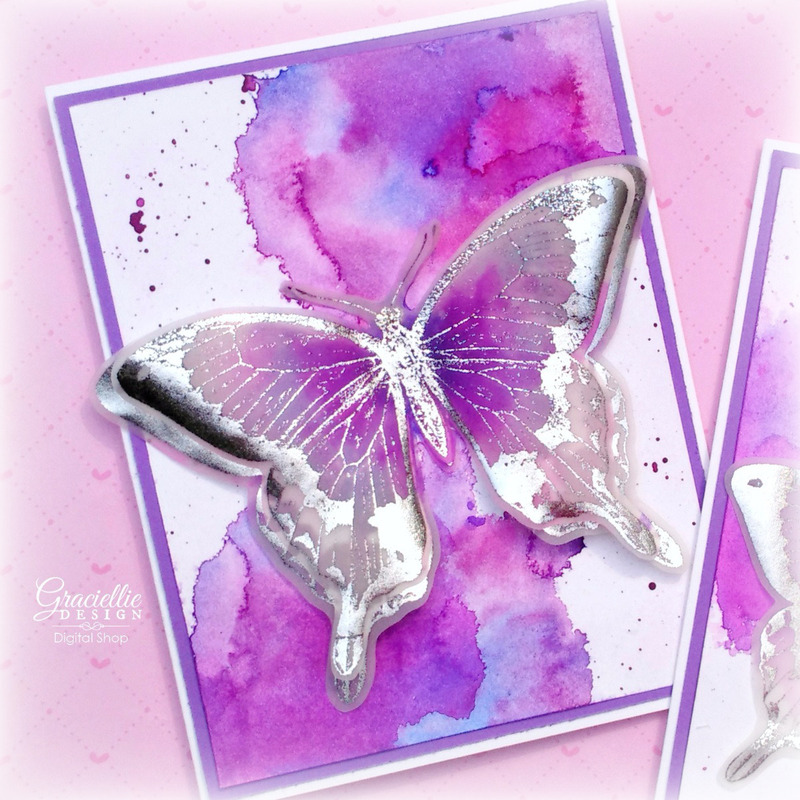 I know you will find something perfect for your cardmaking style! Thanks for visiting today! Until next time. 30% OFF just for you! -This Weekend Only- & Lots of inspiration! Hi Gracie! I love these cards, they are so pretty and so different!Love them! Hola ! Es una tarjeta hermosa ! adorable la mariposa . 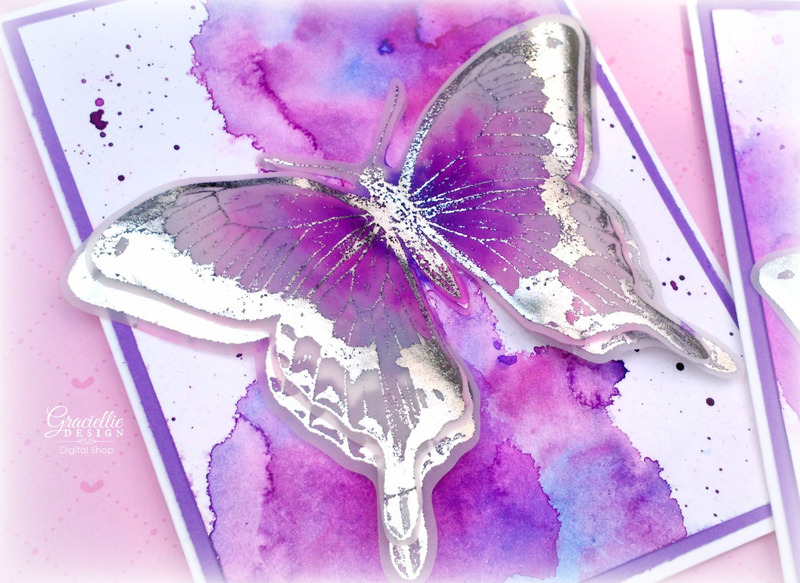 Your butterfly card is so beautiful!! I love the watercoloring you used on the card. These butterflies are so beautiful and love the backgrounds! I love these butterflies they lend themselves to a variety of methods. Wonderful cards. Love the colours and butterflies. OMG these are just stunning Gracie!!!!! WOW! stunning as usual – love all the yummy foil!!! Thank you so very much, Gracie, for your generous gift! I couldn't believe when I saw that I won this month's prize!! Your creations are so gorgeous that I will quickly turn into a Graciellie Design addict :-). I can't wait to go shopping. Thank you again!! I love your blog so much; you have a really beautiful design!